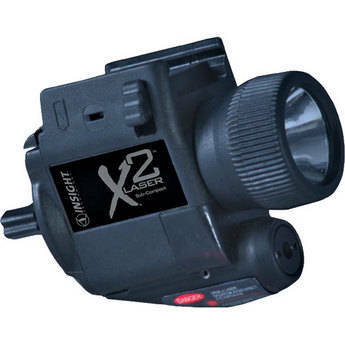 http://www.botachtactical.com/sigsasttali.html $95 - get an additional 15% off using keyword "stimulus"
After review, strictly on paper from other reviews, the Streamlight TLR-2 would come out on top. Just for the price compared to the quality received. As far as best product, the Surefire X400 in my opinion wins gold. If best is what your looking for, at double the price, the X400 would be the way to go. The X400 is well built in every way and thats how Surefire likes to build their products. The Viridian X5L is a nice option if you prefer the green laser for use in daylight hours. However, green lasers lose battery life much faster as compared to red lasers. If this can be fixed, Viridian could possibly pose as top light in this category. The green light does seem to be easier to see, especially at longer distances. All pricing was used from opticsplanet.com. They seemed to be consistently on par with a low price, if wasn't available, found an average low price. Also keep in mind, I have never had any of these lights in my hands ever. These comments are strictly from other posts from this website, manufacturer's website, and other forums/review sites. Last edited by bpasky on 13 Jul 2010, 06:09, edited 43 times in total. Please help to this issue. If I am missing a light, please let me know. I am pretty sure something like this was never covered on the site. If it has I am sorry and please redirect me to it. I am totally unbiased to any of these lights, although I like getting the best because it's a better chance it will work and work well. If dollar value is high, the best has to be clearly better. buddy, I like how you are so sure, have you even touched the search function? It's been covered SO many times before. This isn't barf.com or another FsN forum, we're alot different here and do have legitimate answers from people who USE the stuff. Blue. Thanks for the help. I'll check other forumns. I didn't know Trolls lived in these parts. we're alot different here and do have legitimate answers from people who USE the stuff. Thanks for the legitimate answer! Basically most other topics on the subject just turned into everyone saying what they use. I guess I am looking for why you like the specific light that you have. Oh, my bad, bpasky! Didn't mean to troll on ya! Obviously it's my fault. I mean, who am I to question a newbie who makes close-to-universal claims that are completely inaccurate? "Basically most other topics on the subject just turned into everyone saying what they use. I guess I am looking for why you like the specific light that you have." There really aren't crazy differences between different mfg.'s. Though some have green lights and other have red lights. During the day, Green is easier to see on non-green surfaces. Red is easier to see on non-red surfaces. Green might not work in some temps. Thanks. I haven't viewed the third link before. I think Vortec MAX's post helps the most from that topic. I have a 120 dollar chinese green light called "field sport" with being attached to my 57 and bouncing along in the bronco all the time througout the weeks it still has yet to lose it point of aim. blueorison wrote: Obviously it's my fault. I mean, who am I to question a newbie who makes close-to-universal claims that are completely inaccurate? as someone who has also search on this topic on this very forum, I applaud the man for putting together a well-thought out and linked post cataloging the choices. The info might be previously discussed, but that 'n00b' did an admirable job of organizing information in a way that's useful for everybody. Very pertinent point, PGT! Thank you for chiding me. I will be sure to take this as part of my education to become a better FsNizen. New term I made up. As for lasers, I chose the LaserMax over the Viridian just for form factor. The cost was the same but the Viridian looks HUGE on the FiveSeven while the LM disappears on it. Thank you for the apology Blue. I was actually steering away from the Viridian because of size and light, but that helps what you said about the 2 mins blind in the daytime. A lot of people hype the laser in the reviews and lack to talk about the light. I think I would actually put the Light as a primary and the laser as a secondary. PGT, how is the light on the LaserMax? Would you prefer the green laser over the red or is it matter of preference? This forum is KING of "use the search function". To the point of being ridiculous. Why dont we just catalog all possible topics into an excel spreadsheet, add information as we learn more and shut down the discussion part of the forum? Kind of defeats the purpose. Its one reason I do a lot more reading on this forum than posting, and it has nothing to do with being thin skinned, I can assure you. Its just not worth the hassle trying to figure out who actually responded to your question while sifting through the 37 "use the search function" replies by people who I guess feel they are on another intelligence level b/c they are more familiar with forum etiquette than others. I can assure you everyone on here is a specialist in some area enough to make others feel inadequate were the topic to arise. Sorry for the tantrum, I can just image we run off a ton of new and good people weekly on here, and its not like there is so much discussion going on that we don't need anymore. We have a wiki for such information. People just haven't contributed to it to consolidate all of the information. Thank you for your feed back burdy, we do appreciate it and use such criticism to help make this forum a better place for people coming to seek information. burdy wrote: This forum is KING of "use the search function". To the point of being ridiculous. Why dont we just catalog all possible topics into an excel spreadsheet, add information as we learn more and shut down the discussion part of the forum? Kind of defeats the purpose. Its one reason I do a lot more reading on this forum than posting, and it has nothing to do with being thin skinned, I can assure you. Its just not worth the hassle trying to figure out who actually responded to your question while sifting through the 37 "use the search function" replies by people who I guess feel they are on another intelligence level b/c they are more familiar with forum etiquette than others. I can assure you everyone on here is a specialist in some area enough to make others feel inadequate were the topic to arise. Sorry for the tantrum, I can just image we run off a ton of new and good people weekly on here, and its not like there is so much discussion going on that we don't need anymore. burdy, you're saying we should not have to sift through posts, and simply get spoonfed? I'd have to disagree with you. The search function is there for a reason, I use it, too. It's not just something piled on newbies that come onto the forum. It's not a battle over intelligence quota. f3rr37 wrote: We have a wiki for such information. People just haven't contributed to it to consolidate all of the information. OWWW!!! Fuzzy something just poked me really hard in the side. I don't think it's your hinting at me because I'm definitely not qualified to update wiki. I really don't see what the big deal is having to read through 40 posts to find what you want. You use google to find things, so why can't you use search here? I'm perplexed. access to information isn't the point. easy, organized info is. The search feature on forums doesn't usually work very well. I find things easier/quicker/mobetter by using google's site search. think about the internet before google. the info was out there...just search! yeah, it didn't work well. dead links, reading ten hits to get the one gem of a thread. Looked at another way...how often do you go to wikipedia to read up on something? I go almost daily, usually linked off a search in google. No, it's not the end-all-be-all of knowledge and can frequently be incorrect but considering how hard it was to gain knowledge a decade ago on the web, these two sites are golden. Other forums organize "FAQ's" or "threads of note" - a single repository or table of contents from which one can get to other threads. Well organized and kept updated. That's essentially what the wiki intends to do....catalog the knowledge base in an easy to use format. I know I may be a "Noob" but whatever I learn about each light I can add and update this topic at the top. If anyone has something I need to correct or add just let me know. I don't mind doing it if you don't. It sounds like we need to start somewhere. I'd like to give it a shot as long as everyone is cool with it. Sounds good to me, go for it.